How am I doing? Well, I can pretty well map an individual’s preferences given enough wine and time. It’s rare for anyone outside of the wine industry to venture too far off a beaten track. It’s often price-specific first and foremost, and then locked into a region (California, Washington, etc. ), color, and/or a variety (I hate merlot! 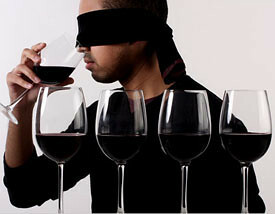 or red wines give me headaches!). There are generational preferences also – Boomers tend to be fond of new oak flavors and also impressed by massive bottles. Subtlety is often lost. Younger wine drinkers as a rule are more knowledgeable and adventurous, unless they are very young and still weaning themselves off soda pop. As for the actual value of my spouting off, whether in Wine Enthusiast, or the Seattle Times, or here on the blog, it comes down to this. I try to be consistent and to explain my thinking. I am a lone individual, not a panel with shifting components and negotiated conclusions. It is really up to me to be a clear communicator, and up to the reader to dial me in, so he/she may navigate accordingly. It’s most useful if your palate either mirrors mine closely, or if you are pretty sure I am completely worthless except to point out wines that you are sure to hate. I do believe, however, that consumer preferences are gravitating toward wine styles that I have long admired. The 1999 vintage in Washington, massacred in the national press, was and continues to be a favorite of mine. The 2007 vintage in Oregon, again not praised by outsiders, produced the sort of elegant wines that are returning again, better than ever, in 2010. The Northwest palate – clearly where I am anchored – has completely differentiated itself from the California palate. For this I am most grateful. Elegance, detail, poise, complexity, nuances of site and grape rather than flavors of expensive barrels are what define more and more Northwest wines. They are trending more towards Europe with each new vintage, which I believe is a good trend. Not that they should be European, but they should emulate the best of the Old World while showcasing the vivacity of New World fruit.